At InLine, we can engineer a parts washer to fit your specific needs. From standard units to a custom fit, we can design the cleaning system for your specific applications. 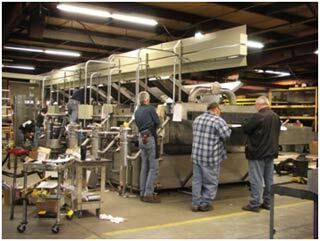 We also have a wide variety of industrial equipment available through Engineering & Industrial Services, Our sister company manufactures products for the rubber & plastic extrusion industry and provides custom equipment including: control systems, conveyors, accumulators, belts, adhesive & coating application, and robotic systems. Please visit the EIS website to explore our vast product line.